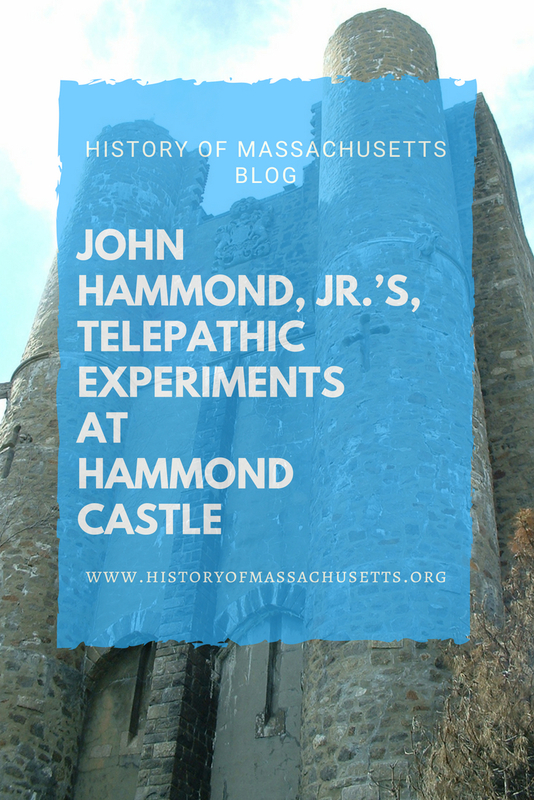 John Hammond Jr. was a wealthy American inventor and owner of Hammond Castle in Gloucester. The castle housed not only his elaborate collection of ancient artifacts but also served as a laboratory where he and his team, which included scientist Andrija Puharich, conducted various telepathic experiments in the early 1950s. From 1951 to 1952, Hammond, who had a fascination with the occult but was mostly known for his work with radio waves, conducted a series of experiments on a well-known psychic at the time, Eileen Garrett. During the experiments, Hammond placed Garrett in a Faraday cage, a cage designed to keep out electromagnetic waves, to determine whether ESP used electromagnetic frequencies as a carrier wave. 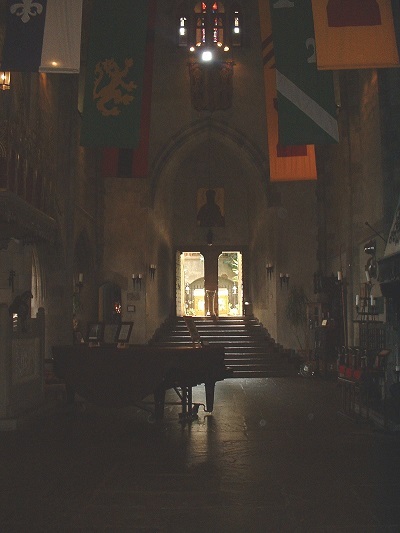 It is rumored that Hammond conducted these experiments in the castle’s Great Hall and that the cage became so hot due to the electrical currents running through it, the prolonged exposure to heat caused the dark stone floor beneath the cage to fade. This faded spot can still be seen today. According to the book, Wizard: The Life and Times of Nikola Tesla, Hammond, who was a colleague and friend of Nikola Tesla, determined that since Garrett could still communicate telepathically with the science team through a series of ESP tests while she was in the cage, it proved that ESP was not transmitted on electromagnetic frequencies. The Parapsychology Foundation still exists today and continues to fund scientific investigations of psychic phenomena. Hammond Castle Museum is located at 80 Hesperus Ave, Gloucester, Ma. The museum is open on Saturdays and Sundays from 10am to 4pm from spring (date varies) until late September. The museum also holds a haunted house tour in October (date varies). Hi John. I actually don’t know the answer to that. I included everything I could find about his ESP experiments in this post. Do you know of seances esconducted with Ernest Holmes present, Dr. Hammond, and a Dr. Hill. Ernest Holmes mentions a Dr. Hammond and a Dr. Hill who performed seances at which he witnessed 19 materialization’s. At these affairs he said the materialization’s were physical in nature. Hi Reginald, no those names are not familiar to me.